It is a known fact that LPG connections are very important for cooking, but a fact also lies that, in India many of the houses do not have these connection and so have to cook food in firewood. Cooking in firewood causes the emission of smoke, if inhaled, can cause breathing and other problems. On 10th March, the Union Cabinet on Economic Affairs passed the scheme of Ujjwala Yojana under which the government would give free LPG connections to the BPL families. How to apply for Ujjwala Yojana? Applying for the Scheme is very easy. The scheme allows women of the BPL families to apply for the scheme and its benefits. The applying the applicant needs to first fill a form that is available in all the LPG centers and also available online. Online the form is available for free download. One can download it, fill it and then submit it to the nearest LPG centers. You can download Ujjwala yojana list from this link. This list contains the entire list filtered with States, cities, Town. This will ensure that you belong to BPL category and thus eligible for free lpg gas connection. The woman of the house or the family will be the beneficiary of the LPG connection. The preference will be given to the women of the BPL families. The women will be made beneficiary as the scheme believes that only if the women of the country are healthy, will the country progress. Also for the refill cost and the stove, there will be EMI facilities available. The women who will be applying for the connection should be above the age of 18. The first preference will be given to the SC/ST groups and then it will pass on to the other BPL families. SECC list 2011: The government has already clarified of the issues faced at the time of implementation of the PMUY. The issues were stated by the government which included the overlooking and exemption of the poor people from the official SECC list (Socia Economic Survey). As per the latest updates from the Cabinet it has been notified that and approval was issued for the expansion of the scheme. ST/SC : As a part of the new expansion the government has stated that it shall be offering coverage to ST/SC households as well as beneficiaries whose names were not included earlier in the scheme. Beneficiary :Apart from this, the government has also stated that the coverage would also extended to PMAY Gramin beneficiaries, Forest dwellers, Tribals dwelling in ex-tea garden tribes, MBC (Most Backward Class), people living in the remote regions on islands and River banks, people registered under Antyoday Anna Yojana (AAY) along with those who are officially registered with SECC Households. The scheme would benefit many families, especially women who have to cooking in ‘chulas’ and have to suffer from respiratory problems. Most of the families who are in the rural area do not have LPG connections. With this scheme the health hazards that the women and children of these household are prone to, will be decreased. The best part about the scheme is that the LPG connections will be allotted in the name of the woman in the family. This would surely empower the women. The applicants need a copy of the BPL certificate which has been authorized by the Municipality or the Panchayat Pradhan. Also the BPL ration card would be required for applying for the scheme. You also need to provide a photo identity card that has your address (Aadhar card or Voters ID card), with a passport size photograph of the applicant. The application form for the scheme is available online, it is two page forms. In the form the applicant needs to provide details such as name of the applicant, contact details, bank account number, Aadhar card number and few other details. In the form the applicant also needs to put down the type of Cylinder that the applicant wants which includes 14.2 kg cylinder or 5 kg cylinder. You can download the Ujjwala Yojana Form using this link. Dharmendra Pradhan also stated that the union government has discovered Structural policy rectifications in a genuinely short time incorporating 29 cabinet decisions in the sector of gas and petroleum. He further added that the transparency as well as discretion is the primary philosophy of the government. This scheme is expected to profit crores of females of the BPL households and will be applied in the following three years. About Rs. 8000 crores has been reserved for supplying 5 crores cooking gas connections to the BPL families under this plan. The plan furnishes a financial backing of 1600 rupees for each connection of the BPL family. It is a unique initiative in the history of any country in which a Government will carry out a social welfare scheme profiting crores of females belonging to poorest families. proper cooking fuel (LPG Connections) at free of cost for BPL families especially on rural regions. Below mentioned table elaborates the impact of using improper cooking fuel. 1 Health Issue Using improper cooking fuels in homes would cause dark smoke and emits carbon, which would harmful for cooking person if its intake continuously. Apart from that the indoor pollution affects healths of all family members and damages earth atmosphere too. 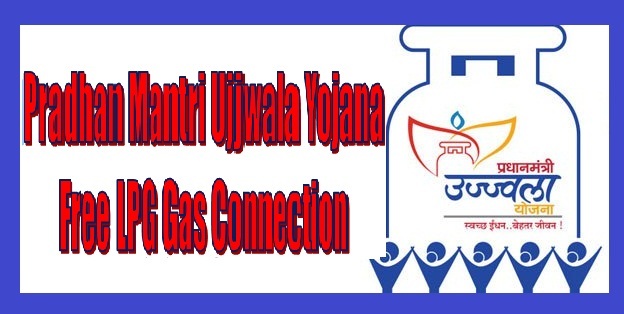 Under the scheme of Ujjwala Yojana the government plans to provide around 5 crore free cooking LPG connections to the families who belong to the BPL (Below Poverty Line) category. The scheme will ensure that all the BPL houses have LPG connections. This will provide protection of the health of women and children in the homes. The scheme will provide a financial support of Rs.1600 for each connection to the BPL households. It has been recorded that there has been around 5 lakh deaths because of the use of unclean cooking methods. The scheme addresses this issue as well. LPG connections would address the respiratory problems of children caused due to the use of firewood in cooking. “We’re clear that the subsidies ought to be aimed and we’re dedicated towards rectifying it,” Pradhan stated. Asked whether the benefits of slumping prices of natural gas are being passed on to the customers or not, Pradhan enunciated that the cooking gas cylinders are as of now subsidized. Free LPG connection will be provided only to the female members of the BPL families Pradhan said the central government will supply five crore cooking gas connections on discount rates to the female members of the BPL families over 3 years till 2018-2019. New life to the people of flood affected areas Considering providing relief to the fishermen, daily workers and farmers affected by recent floods in the state of Tamil Nadu, Kiran Rijiju stated that the state governments must protect these topics and the Central Government can then pursue them in regard to the rules connected to Finance Commission. The central government will also take care of the poor who are badly affected by the recent floods and they are struggling to survive and the free gas connections will give them a new life to live. Ujjwala Yojana Subsciber exceeds 2cr. In Delhi, Pradhan Mantri Ujjwala Yojana was launched. The women who are from below the poverty line and have BPL cards can apply for the scheme. However, to apply for the scheme, BPL card holder women who do not have LPG connection at home can apply through online portal. The scheme was originally launched in the year 2016. This year, in 2018, during first week of April, the Delhi government has announced for application form for the same.400 beneficiaries will be able to apply for the scheme in the first phase of the scheme. The main objective of the Grahini Suvidha Yojana is to provide benefits to those poor households, which have not enrolled under Pradhan Mantri Ujjwala Yojana, or do not have a LPG gas cylinder to cook food. The state steps in here as it paves the way for these poor families to have LPG connection for at least two continuous years.As per the announcement, the HP state authority has allocated a whopping budget of Rs. 12 crore for meeting the financial requirements of this scheme. On the 23rd July 2018, Petroleum & Natural Gas Ministry head Dharmendra Pradhan announced official that Pradhan Mantri Ujjwala Yojana has produced satisfactory results. This free LPG connection scheme for BPL families was implemented on a pan-India basis. In 2016 – 2017, around 2 crore free connections were issued while the government set out with a target to reach 1.5 crore families. During 2017 – 2018, central government had the same target but offered 1.56 crore connection. This year, central government desires to offer 2 crore new connections. Till 18th July, it has already issued 1.17 crore connections. For meeting this year’s target, central government has allocated Rs. 1642 crore. The minister is positive that the department will cross the target this year as well. Gas agency of many villages of bihar are not following UJJAWALA Yojana.They stiil demanding 6000/- rupees for gas connection from BPL family.What you say, Mr.Minister? sir ye free gas conection kaise eska farm bhi aply karna padega please informe about >>>? free LPG connection provide relief to poor bcz they can not get fuel due to shortage of wood. Almost poor population which living in villages is so poor they cannot afford these connections. It is appreciable effort from our PM but these free connection list is short as 5 crore. most of population which would not get these connections. It increases according to BPL list in INDIA. we will thankful to PM if it will increase in millions. This project will be helpful to the BPL category of people in West Bengal particularly during Panchayat election if it is translated into Bengalee language . Many people make comments that they are not receiving subsidy in subsequent gas cylinder supply and the entire scheme should be properly clarified in Bengalee language instead of explanation of entire scheme in English. Hello sir, I am from UP. I have critical disputes with my wife (in a court too). Even we are not belongs to BPL,SC,ST etc caste. She get PMUY cylinder and took away to her fathers village. How she do? Is it crime? Sir Iam yogendra from MP balaghat sir Hamare name per gas connection kisi NE receive krliya hain plz kitni brastachari Aur Kitne gande tarike se kam horaha hain plz pata kijiye 618815 my upbhokta no.